Uranium’s Minefields | Back Page | Style Weekly - Richmond, VA local news, arts, and events. Governor McDonnell is under a harsh spotlight as he considers whether to support lifting a near three-decades-long moratorium on uranium mining. For the 50 or so people sitting in the quaint Pepsi-Cola building March 20 in Danville's tobacco warehouse district, the information seems to spawn more frustration than clarity. They've gathered to hear two economic impact reports regarding controversial plans by Virginia Uranium to mine an ore deposit a dozen miles to the north in Chatham. "The bottom line is that we don't know what will happen in the future," says Katherine Heller, a senior economist at RTI International. 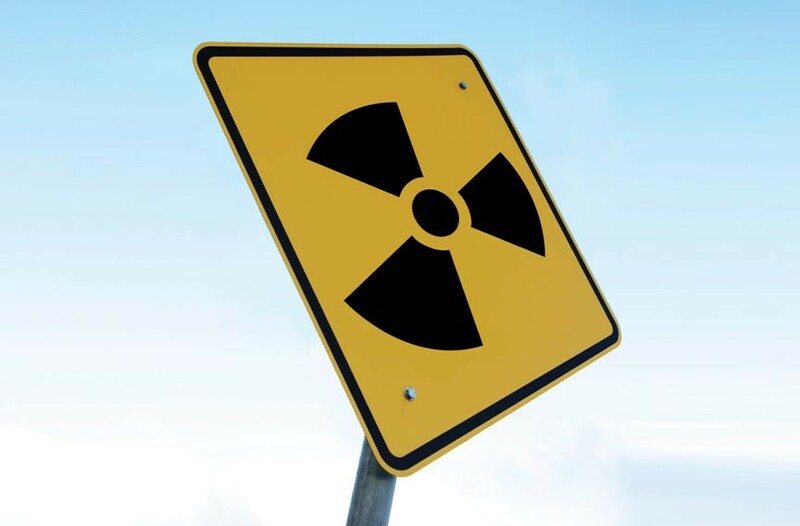 The consulting company from Research Triangle Park, N.C., was hired by regional agencies to estimate what happens if Virginia Uranium, owned by local and Canadian investors, proceeds with its plans for a uranium mining and milling complex. Uranium mining is the hottest environmental issue facing Virginia. Mining the Coles Hill farm deposit could yield $7 billion, not a small chunk of change, for landowners Walter Coles Sr., his son and other investors. Yet many questions surround it, such as the state's lack of mining regulations, the unusually rainy nature of Southside Virginia (uranium mines are typically in drier regions, such as Colorado or Australia) and the threat of leaks of radioactivity to the Lake Gaston area that provides Virginia Beach with much of its drinking water. Gov. Robert F. McDonnell's administration is under a harsh spotlight as he considers whether to support lifting a near three-decades-long moratorium on uranium mining while pushing his agenda of making Virginia the so-called energy capital of the East Coast. His plan relies heavily on nuclear power and fossil fuel, including his so-far fruitless efforts to drill off the Virginia coast for oil. The RTI report, in addition to one prepared for the state by Chmura Economics and Analytics in Richmond, says the uranium project could benefit the depressed Southside region, once known for its textile and manufacturing base. RTI predicts that it could bring in 724 jobs and $162 million in a year, affecting an area 50 miles from the mine and milling operation in Danville. Chmura's report says essentially the same thing although it considered a smaller geographical area. • Virginia has no laws regulating uranium mining or milling ore into useable yellowcake, the highly radioactive material that's eventually used in reactors or to make bombs. McDonnell recommended delaying any decision on lifting the ban on uranium mining in the state until more research could be done. He's set up a group to study the issue. • According to RTI, the tailings, or leftovers, from the uranium deposit that runs 1,500-foot deep will be stored permanently underground in an area near vital drinking water supplies. Those dump sites will have to be monitored indefinitely, according to Heller, most likely for thousands of years. There are no plans yet to do such monitoring or how to pay for it. • There also are no plans yet on requiring Virginia Uranium to set aside funds to help localities deal with the costs and loss of businesses and taxes in case there's a spill or some kind of accident. It also isn't clear who will pay for the necessary state regulators and inspectors, especially when the upcoming budget is tight and has yet to be approved. • There are lingering questions and confusion about how transparent the McDonnell group will be while it studies uranium mining. At first, Cathie J. France, a deputy director of the Department of Mines, Minerals and Energy who heads the uranium committee, said that her group wouldn't hold public hearings but would accept written comment and set up a Web page. After public criticism, Martin L. Kent, McDonnell's chief of staff, wrote legislators that because of "misunderstanding" there had been a "mischaracterization" of how public comment will be obtained. He says the group will "accept public comment during four open meetings." • The economic health of the uranium plans depends on highly volatile global uranium pricing. Heller said that RTI based its predictions on what she characterized as a middle-high estimate that could be subject to big and unexpected swings. Uranium prices hit a high of $136 a pound in mid-2007, dropped, and then struggled back to about $65 a pound by February 2011. The next month, the Fukushima nuclear disaster in Japan pushed them back to the low $50-a-pound range as governments such as Germany's swore off commercial nuclear power. • So far, studies regarding uranium mining have cost various government entities more than $2.7 million. The RTI study cost $530,000. Yet they all confront the same problem, the impossible tasks of assessing risk or economic fallout if there aren't state regulations or enforcement mechanisms in place to act as an analytical benchmark. • There has been a stench of inside baseball in the uranium review process. None of the people McDonnell has chosen to lead study groups has any background in science or handling radioactive materials. Cathie France, for example, is a former lobbyist for Virginia Natural Gas. Virginia Uranium also has drawn criticism for contributing $150,000 to political campaigns and taking legislators on an expenses-paid trip to an abandoned French mine a with a side excursion to Paris last year. Peter Galuszka is a contributing editor to Style Weekly.